174 pages | 102 B/W Illus. Waddah S Ghanem Al Hashmi is Executive Director of EHSSQ and Corporate Affairs at the ENOC Group in Dubai, United Arab Emirates. Waddah is responsible for overseeing the development and implementation of best practices and standards for Legal affairs, Group Communications, EHS, Business Excellence & Quality, Sustainability, Security and Risk Management. Waddah holds a DBA in Corporate Governance and EHS Leadership from the University of Bradford’s School of Management. Rob Cooling is Director of Health, Safety, Quality and Environment at Expo 2020 Dubai. Rob is a Trustee of the Institution of Occupational Safety and Health (IOSH) and a Chartered Fellow of IOSH. 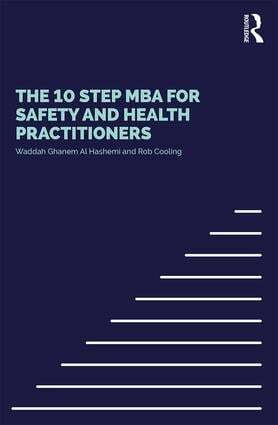 Rob holds a PhD in health & safety law and management from Salford University, UK and an Executive MBA from London Business School, UK.